PROTECT YOUR WALL: Pressure mounted gates work well to make homes baby-safe and save you the hassle of messy installation, but they can still pose potential damage to your wall. Protect-A-Wall Mounting Cups Pressure mounted gates work well to make houses and apartments baby-safe, saving you the hassle of messy installation while protecting your little one. However, they can still pose potential damage to your walls. Dreambaby Protect-A-Wall alleviates that problem. Our Protect-A-Wall Mounting Cups are large and will help disperse pressure from the top supports over a large area, reducing direct force and minimizing the possibility of cracks or collapses. 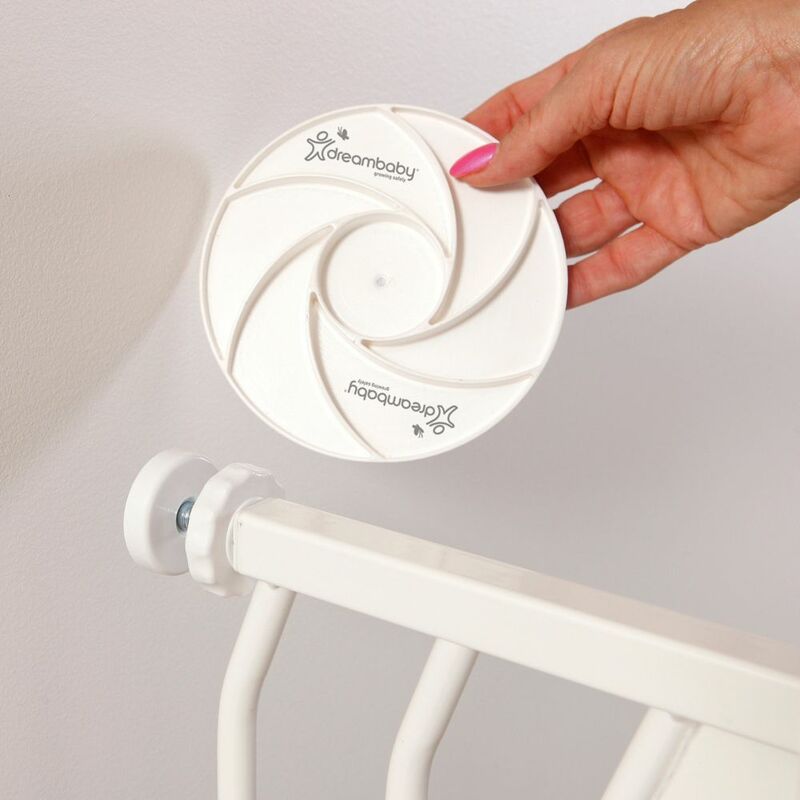 In addition to providing a larger, more secure contact zone, these mounting cups feature a soft non-slip, non-adhesive backing that prevents damage while remaining gentle on your wall. Installing the Dreambaby Protect-A-Wall on a new or existing gate takes literally seconds. Remember it's always important to follow the manufacturer's installation instructions for your gate. For your convenience, this pack includes two Dreambaby Protect-A-Wall Mounting Cups that work at the top contact joints of most pressure-mounted gates.